another pretty exotic gun is the Škoda 6,6cm KPÚV 5/800, also known as 6,6cm PaK 44, Škoda A14 or 6,6cm PaK 5/800 (the last name being mentioned in the documentation). This experimental gun was developed since 1941 by Škoda Pilsen for the German army under the company designation of A14 (it seems it was private Škoda initiative, not a part of some program). 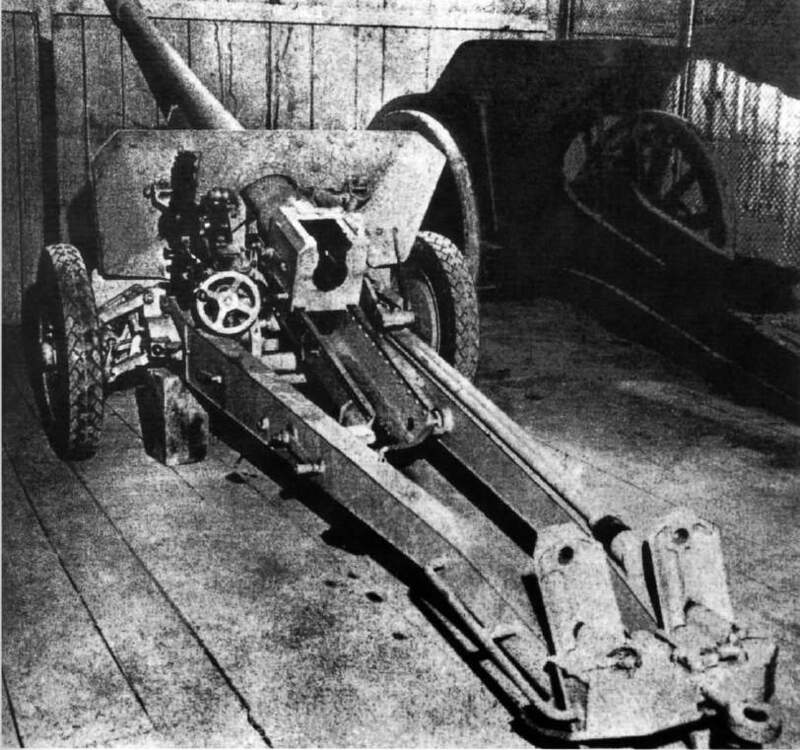 Apparently, it was an attempt to create something more powerful than the 50mm PaK 39 L/60, possibly as a competition towards the 75mm PaK 40. A prototype was made and first tests took place in April 1942. Germans were not interested in the production due to the atypical caliber and the prototype stayed in Pilsen until 1945, when the Americans confiscated it, along with its documentation. The gun was actually not bad. The barrel was 3300mm long (L/50) it fired a 5kg atypical 66mm AP shell with muzzle velocity of 800m/s. It’s a significant improvement over the 50mm, but when we compare it to the L/46 PaK 40 (6,8kg shells, 790m/s), the PaK 40 is clearly superior. Both guns also weighted roughly the same (1,5 tons with lafette). Of course, the logistics are different matter: it’s easier to transport 5 kg shells than 7 kg shells, you can carry more of them around and they are easier to load. 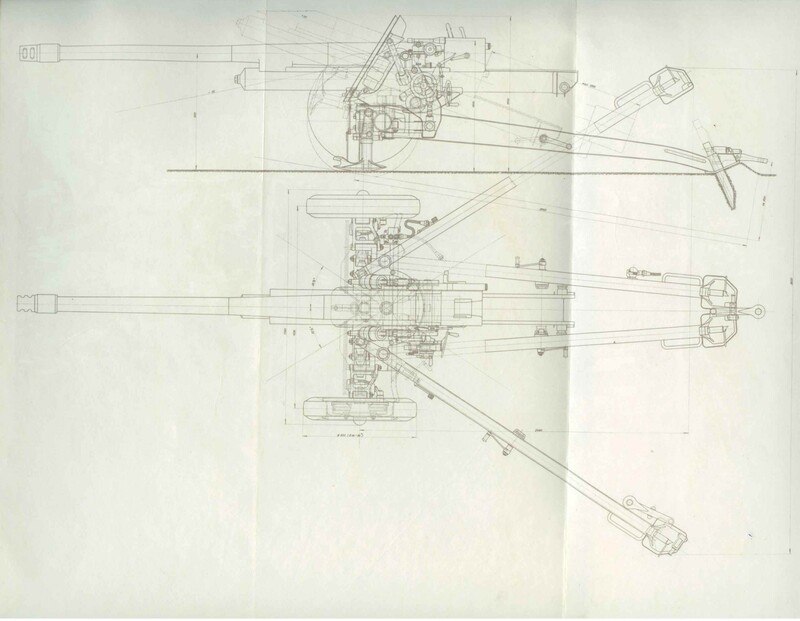 The penetration of this gun is not known, but we can guess it would be around 100mm in WoT terms, given the projectile weight and extrapolation from 75mm and 50mm guns. Both AP and HE shells were available. German autoloaders went up to 128mm BTW. 150mm please. Even if those proposed 150mm Auto-Loaders were FlaKs. WG granted and corrupted your wish. Now you get an autoloaded E-100 cannon! 12-18 RpM, depending on chassie and tier. 100dmg and 100 pen on Tier 4 may be too much, it would possibly became AMX50 100 of respective tier, but given lower average effi players occurrence on lower tiers, it would encourage another rounds of seal clubbing since they would not know how to deal with it. Imagine platoon, consisting of 3 of these, with lets say 2,3 or 4 shots in magazine. Almost like putting 122mm on tier 4 (dmg wise). On tier 5 with given stats you suggested it would be ok i guess. But who knows, they may balance it some way to fit in tier 4 anyway. On DebilWagen? Yes, please! From most useless vehicle it would become a very dangerous one. Um… this gun doesn’t have any autoloader, it was the 5 cm from the previous post that had it. Also, how would it be OP? look at the guns on other tanks FFS! I don’t see how 100 dmg, 100 mm pen and 0.4 accuracy with like 12 RpM would be OP at tier 4. Were theese guns (with the previous article) planned to be fitted into tanks? If not, I doubt we will see them ingame. Unless we can now man up Anti-tank guns pulled by horses and trucks. No, but analogical guns were. More like private initiative for Škoda’s best (and only) customers. Too bad Ford corporation was working for Nazis too, and Americans were selling oil to Germany till 1940 or so, oh yes and USSR taught German officers till late ’30-s. But Czech monsters made private initiative for Nazis – bastards! Like the Germans would have approved arms sales to other country’s (They did approve a few sales from Czech but not all arms were delivered). There was 1 seller and mainly 1 buyer. This 1 buyer also controlled the rail networks, the country and the approval of arms deals to other country’s. Pretty? no. Reality? sadly yes. Also as SS mentioned in a previous article (weeks ago) Czech armaments factory’s didn’t iirc produce the panthers and tigers due to shortages in skilled welders and ability to handle the product weights in the factory. You mean the secret army cooperation treaties after rapallo? Afaik it was germans improving russian army, supplying weapons and doing military research there, since they couldnt do that themselves after WWI, not the other way around. Russians teaching german military, hahaha thats funny. Also USSR and germany were partners till almost 1941 so DUH obviously they werent the good guys there. Business as usual. Ever heard of Tukhachevskiy? Operational Art? Deep battle? Soviets were quite advanced in military art and were training a batch of officer corps to put it into practice until great comrade leader Stalin decided that they posed a threat to his rule and literally wiped them out. Then Soviets had to re-learn their legacies of past during WW2, OP Bagration being graduation. Where did the 100mm penetration come from? I didn’t see that on the czech site? I calculate that if it had a pzgr. 39 shell it would penetrate 93-98mm @100m 30°.